The Nobel Peace Prize 2016 is a double win for Colombia. Not only will its president Juan Manuel Santos be awarded with the Prize, but the gold used for the medal will come from two Colombian artisanal and small-scale mining organizations which hold the Fairmined Certification, developed by the Alliance for Responsible Mining. This has a special symbolic value for the miners and the country, where the mining sector is characterized by widespread informality and where illegal armed groups have used the mining business to finance conflict and launder money. Now the country is facing a post-conflict reconstruction process where responsible artisanal and small-scale mining will play a key role to attain inclusive and long lasting peace, by providing a decent livelihood alternative while contributing to local economies. Supporting the formalization of artisanal mining and providing tools to achieve responsible mining is a peace-building opportunity for Colombian society and the State. Some of the gold will come from a group of miners of the Coodmilla Cooperative, a mining organization located in La Llanada, in the department of Nariño, an area hard hit by the armed conflict. It is very symbolic that they are a part of this historic moment as their community and many of the miners have been directly affected by the violent past of the region. “We are very happy that this year’s Nobel Peace Prize is made of our Fairmined certified gold. It is a recognition of the hard but decent work we are doing in traditional and community mining to assure our family’s livelihoods and the development of our communities. Every day we endanger our lives in the depths of the mountains, furthermore it is a challenge to live in a conflict country – we, the miners, are longing for peace.” Harbi Guerrero, artisanal miner and member of the Coodmilla Cooperative. Some of the gold will also come from the Cooperativa Agrominera de Íquira, located in the department of Huila. They are a pioneering example of best practice for responsible mining in Colombia. In 2015 their Fairmined certified gold was used to make both the Cannes Film Festival’s Palme d’Or and the Nobel Peace Prize. ARM provided training to these and other mining organizations in Latin America and Africa to strengthen their organizational performance while helping them reach Fairmined Certification, which allows the mining organizations to access international gold markets via traceable supply chains that offer a guaranteed fair price and a Fairmined Premium which can be invested in improved operations and community development projects. Certified mining organizations like Coodmilla and Íquira demonstrate that artisanal and small-scale mining can be done in a socially responsible and environmentally respectful manner while creating favorable working conditions that contribute to rural development. 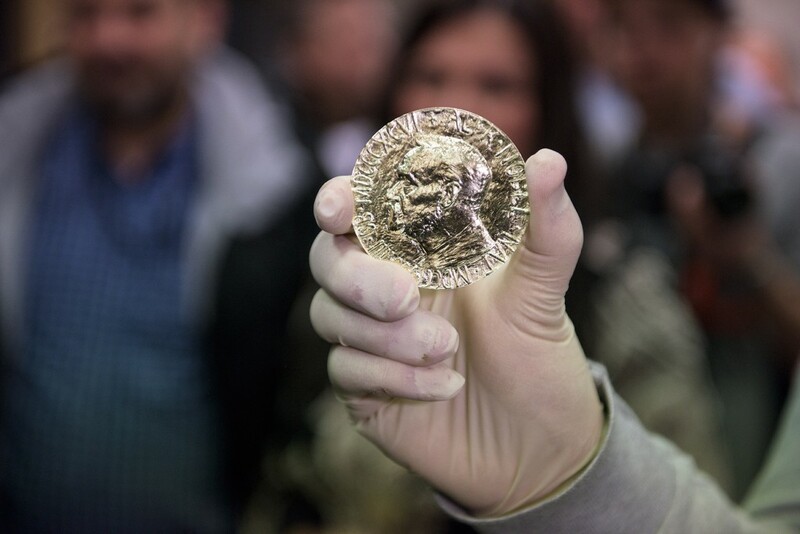 The initiative to produce the Nobel Peace Prize medal in Fairmined Gold was taken by Samlerhuset and the Mint of Norway – the producer of the Nobel Peace Prize medal since 1901 – and ARM, to raise awareness on the challenges artisanal and small-scale mining is facing worldwide and to show how these can be overcome and positively contribute to sustainable development.